​Bournemouth welcome Liverpool to the Vitality Stadium for the Premier League's early game this coming Saturday. Eddie Howe's side recently ended a run of four consecutive defeats with a 2-1 win at home to Huddersfield. However, the Cherries know they'll need to be at their best if they are to get anything from this game. 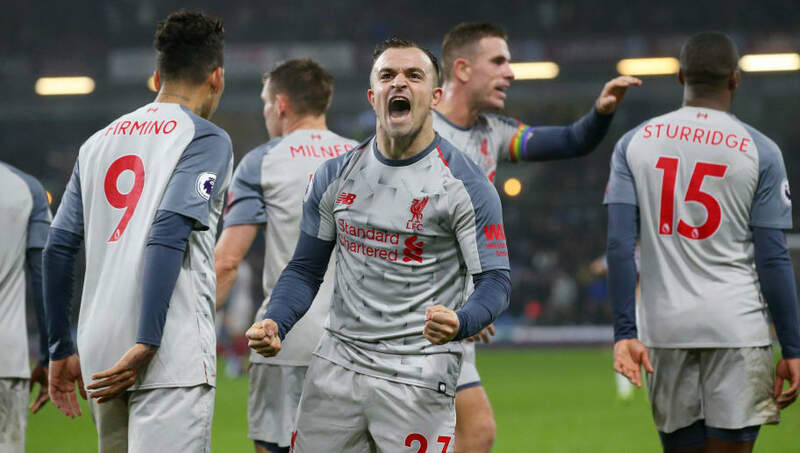 The Reds meanwhile fought back to beat Burnley 3-1 in midweek to remain unbeaten in the Premier League, and know a win in the early kick off can, albeit temporarily, put them top of the league ahead of Manchester City's clash against Chelsea later in the day. ​Bournemouth have been dealt a major blow ahead of this weekend's game as midfielder ​Lewis Cook (knee) is expected to be out for the next six to nine months, while Adam Smith (knee) remains sidelined and Dan Gosling (knee) is a doubt. ​Liverpool are set to be without ​Joe Gomez (leg) after sustaining a nasty injury against Burnley in midweek, although Sadio Mane (foot) and Andrew Robertson (hip) could both return to the squad this weekend having missed the midweek win. ​Bournemouth ​Begovic; Francis, Cook, Ake, Daniels; Brooks, Surman, Lerma, Fraser; King; Wilson. ​Liverpool ​Alisson; Alexander-Arnold, Matip, Van Dijk, Moreno; Fabinho, Keita, Milner; Shaqiri, ​Salah, Firmino. following the Cherries' promotion to the top flight in 2015. Of the six games, the Reds have won four of those games, including the previous two, while Bournemouth have just one win during those six games, the famous 4-3 triumph in December 2016, with the other game ending in a 2-2 draw. After a promising start to the season, winning six of their opening eight games in all competitions, Bournemouth have found results hard to come by in recent weeks, losing their last four Premier League games before a welcome win last time out against David Wagner's side. While their results in the Champions League this season have been far from perfect, Liverpool's Premier League results have seen them keep within touching distance of City at the top of the table, having won their last four domestically. Bournemouth have performed well against the so-called 'big six' this season without getting the results to match, and it looks like their game against Liverpool could follow a similar fashion. The Reds haven't been at their scintillating best this season, although have managed to continually grind out results, especially in the Premier League, which is a testament to the squad Jurgen Klopp has assembled during his tenure at Anfield. While it won't be an easy game for Liverpool at the Vitality Stadium, they look as if they'll stretch their winning run in the league to five games, although expect the Cherries to push them all the way.